WOW a Double Connestee Falls Lake lot. Incredible Privacy & views of the lake all on a Cul-De-Sac. Very few lake lots available & here's your chance to own the best. Monsterous 184 feet of lake frontage. Owners knew best making a double lot with more than double lake frontage. Private .91 acre lot offers multiple build areas, Build high closer to Cul-de-sac or build lower at near lake level. The topographical survey shows multiple build sites & lower site offers extensive privacy, as it joins the Communities green space. Can't beat the cool nearly 3000 foot elevation & all this lake frontage. Wonderful views across the lake, several easy build dock areas & tons of fishing spots with deep water access. 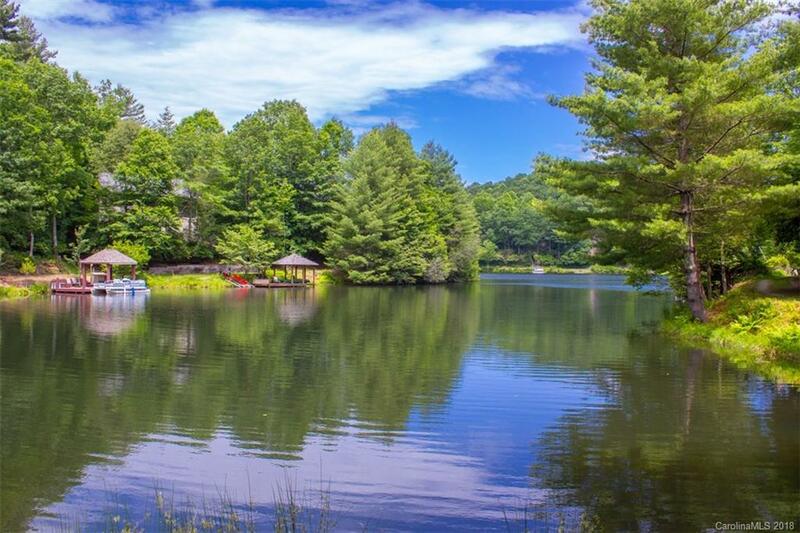 Connestee Falls offers 4 stocked lakes, gated, full-time security, championship George Cobb golf course, modern clubhouse, grill a& fine dining restaurant, a heated pool, bocci, pickle ball courts, dog park, tennis courts, hiking, community garden, & only 15 minutes to Historic Brevard.